In the second part of a three-part series, we’ve gathered all the essentials you need in your sailing gear bag—and a few things you should leave on the dock—for coastal or overnight lake racing. Some of our favorite races fall into the categories of coastal and overnight lake racing. 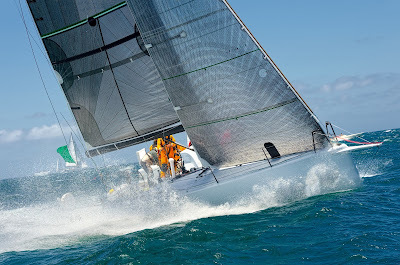 There’s a sense of adventure that you get on a point-to-point race that you don’t get in buoy racing, navigation and tactics play a larger role, and because things (generally) don’t happen as fast or as often, you can sail with a smaller crew. But these middle-distance regattas pose a special packing problem. A sprint down the coast of California or a run up Lake Michigan in the Chicago Yacht Club’s Race to Mackinac is generally only a two- to three-day endeavor, but that doesn’t mean you can just throw an extra pair of socks in your bag and head to the boat. Coastal sailing can involve some of the most brutal ocean sailing along a lee shore, while conditions in the Great Lakes are known to be hot during the day and very chilly at night. Follow our handy packing guide and you’ll be ready for all conditions, and your gear bag will still be small enough to carry on the airplane for the flight home—all of this should fit nicely in a 70L bag or smaller. Do pack: An inflatable life jacket with crotch straps and built-in spray hood, whistle, and light. A knife is mandatory and an EPIRB or AIS beacon is recommended. Foul weather gear—how heavy depends on the race and the forecast, but generally a good mid-weight set will work. You’ll want a beanie, wool socks, long underwear, and a pair of cold-weather gloves or mittens for driving at night. A water-resistant watch with a backlight and a headlamp with a red light is also a must. If you wear prescription glasses, pack an extra pair. Sunscreen. Check with your skipper to see if you need to bring your own bedding. Don’t pack: Heavy boots (unless you wear them regularly or the conditions are likely to call for them), books, any toiletries beyond a small tube of toothpaste and your toothbrush, or extra anything. You won’t need it. 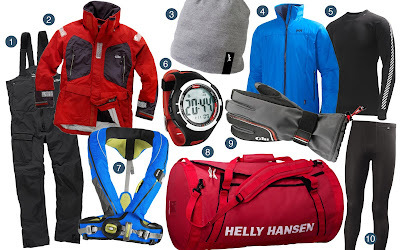 Looking for what to pack for inshore racing? And, stay tuned for part three of this series when we cover what to pack for an ocean crossing!